March 21, 2019 By Editor & filed under Blog. When it comes to snacking, we want ours healthy, easy and super delicious which is why we created this comprehensive guide to healthy snack recipes and ideas. Whether you’re looking for healthy snacks at work, on the go or for the kids, we’ve rounded up our favorite healthy snacks: ones we’ve made time and time again. We’ve got gluten-free, vegetarian, dairy-free options and more so everyone in your family can find something they love! 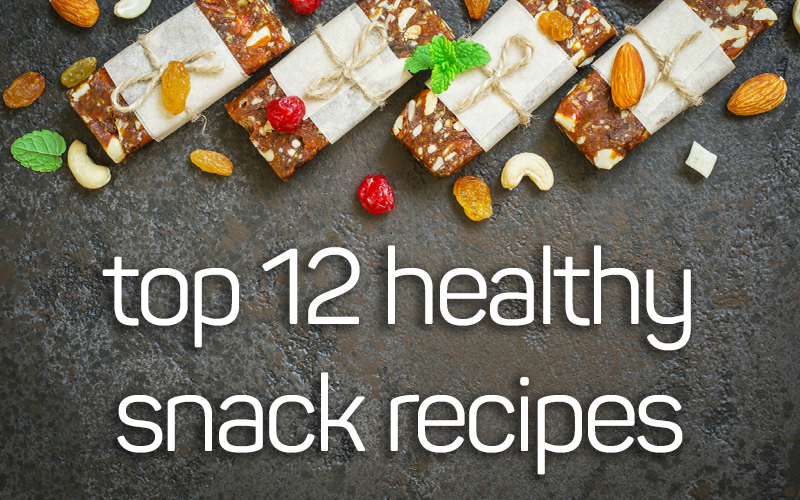 Check out our top 12 healthy snack recipes for whatever the day may bring you. Sitting at a desk all day? Chances are, more often than not, you’re looking for some healthy snacks options. Healthy snacks at work are hard to come by; between the hallway vending machine and birthday cupcakes in the break room, there’s not a whole lot around when it comes to nutrition. However, prep one of the below snack recipes at the beginning of the week or even at work and you can have a healthy snack at your beck and call whenever you’d like. Make this recipe part of your Sunday meal prep and you’ll have healthy peanut butter and chocolate energy bars all week long at work. And let’s face it, who doesn’t need a little extra energy when that 3 p.m. slump comes around?! 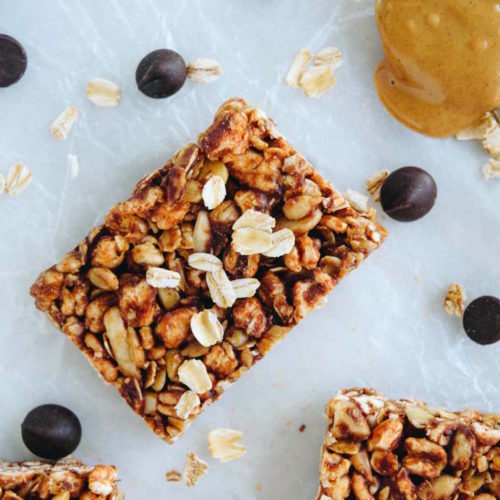 These tasty treats are made with super healthy ingredients like oats, peanut butter and seeds to help you power through the rest of your workday. Keep them wrapped up individually in your desk drawer and you’ll be so happy to reach for this delicious energy booster. This recipe accomplishes two goals: one, you get a delicious healthy snack you’ve been craving and two, you get a nice little break to let out some creative juices. 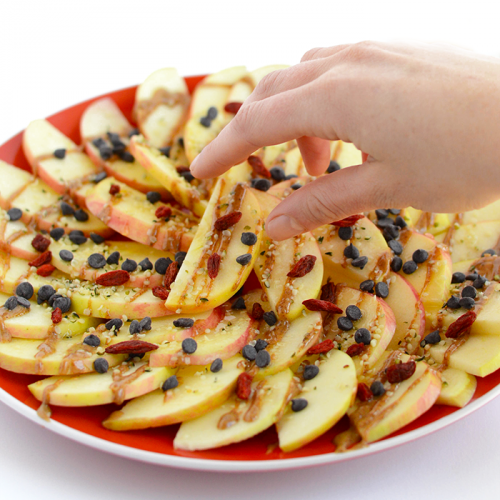 These apple nachos take just 5 minutes to whip up making them the perfect option to prep at work. Simply slice your apple and add your toppings. This healthy recipe uses almond butter, chocolate chips, honey, hemp seeds, and goji berries but you can totally make this recipe your own. Packed with fiber, protein, and good-for-you fats, this is the perfect healthy snack for work! There’s something about a crunchy snack at the office that helps the day go by just a bit faster. But instead of reaching for the vending machine Cheetos, you can make your own healthier version with the same amount of crunch! 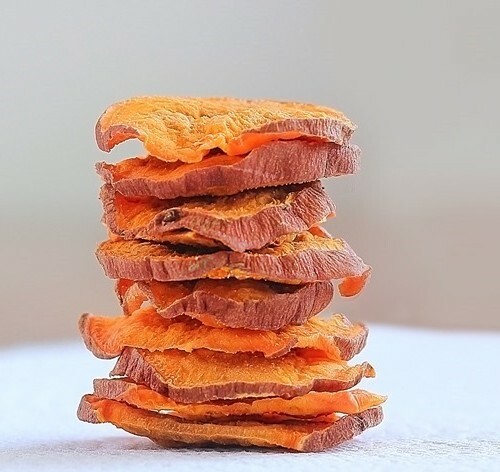 These baked sweet potato chips are made with just three ingredients: sweet potatoes, oil and salt but you can totally add additional spices like garlic powder, rosemary or cayenne pepper to customize them to your liking. 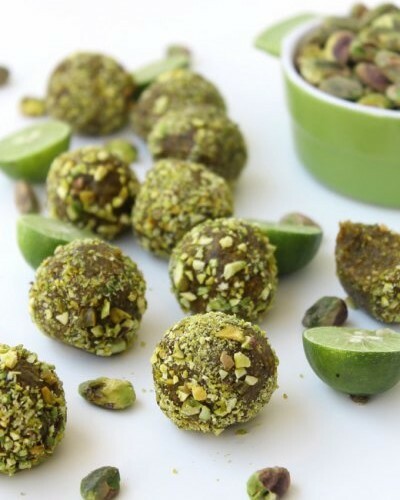 We tend to think these raw key lime pistachio bites are the perfect healthy snack in the dead of winter. If you live in a cold weather climate, the months of winter can drone on and on, especially as you sit at your desk looking at the snow covered ground outside your window. But snacking on these key lime bites can transport you to the tropics even if just for a few minutes. Made in just 5 minutes and with only 3 ingredients, it’s a great healthy recipe to make on Sunday and keep stashed away at the office. If you’re a parent to young kids, you know that coming up with healthy snack ideas is a weekly dilemma. It seems that even after a high protein breakfast, the kids are asking for a snack come 10 a.m. Or the second they hop of the bus, they’re demanding something to eat. And while sometimes store-bought snack purchases are necessary, these homemade snacks are going to be way healthier for your little munchkins and often cheaper too! Check out the below healthy snacks for kids that are guaranteed to be family favorites! The classic peanut butter and jelly sandwich is a childhood favorite. And now your kids can have the combo in snack form! Oh and the best part? You can make them in 10 minutes with only 4 ingredients which when you’re a parent and short on time, is critical. Plus, they’re vegetarian, vegan, gluten-free and totally freezable. A lot of kids have a thing with texture. But applesauce is a texture that nearly every child loves. Skip the individually packaged applesauce from the store and make this super easy, super yummy homemade applesauce instead. Not only will you save money, but you’ll cut down on plastic waste, and end up with a healthier, better tasting recipe to boot. 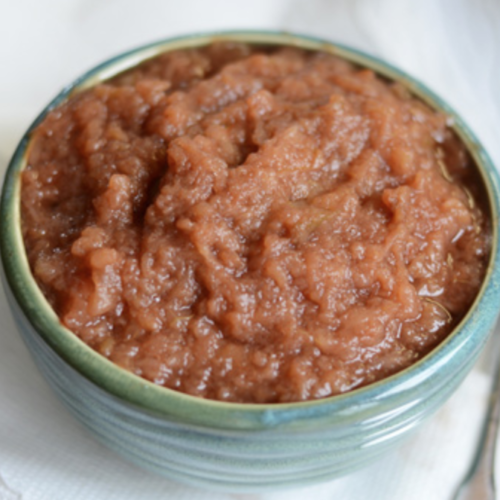 This cinnamon applesauce is made in the crockpot, which means you simply add your ingredients and let it do it’s thing for 4 hours. Score! Trying to sneak some veggies into your kids’ snack? This is the perfect recipe! 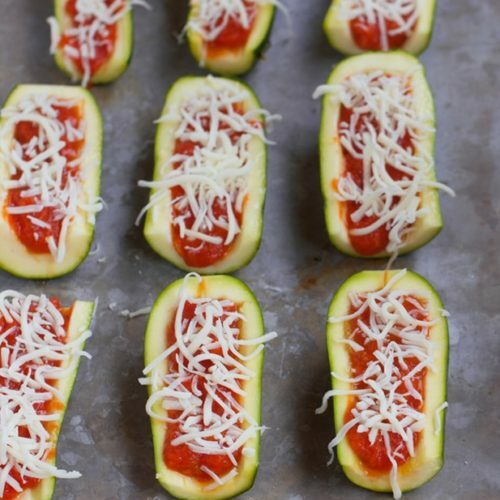 They’re love the way these zucchini boats look and the fact that they have pizza in the name, and you’ll love that they’re eating something that’s actually good-for-them without a fight. This recipe uses traditional pizza ingredients like red sauce and cheese but you can totally add pepperoni or your family’s favorite pizza topping. This snack is gluten free and can be made dairy-free using dairy-free cheese or skipping it altogether. This healthy snack is another great way to get your kids eating veggies in a flavorful way. 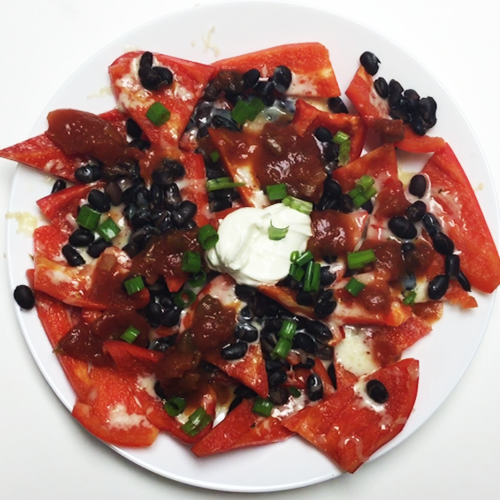 Kids love nachos and we’ve simply made a healthier version that everyone can feel good about. It’s a low-carb and high fiber snack that also gives them protein to fill up. If your kids aren’t big on spice, simply swap out the pepper jack cheese for something more mild, like mozzarella. Whip them up before the kiddos get home from school and they’ll love coming home to this healthy and satisfying snack. We live in a fast-paced world, which means many of us are often looking for healthy snacks on the go. Whether you’re running from the office to the gym or lugging kids around all day, these non-refrigerated snacks are perfect to curb your hunger while out and about. Love crunchy snacks? 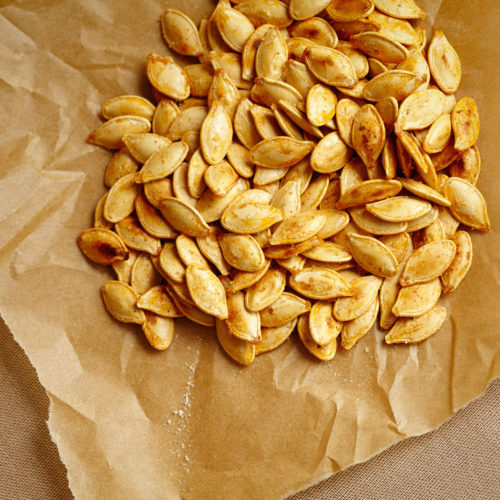 Then you’ll love these Cajun roasted pumpkin seeds. They pack just the perfect amount of spice without being over the top and are low in calories. 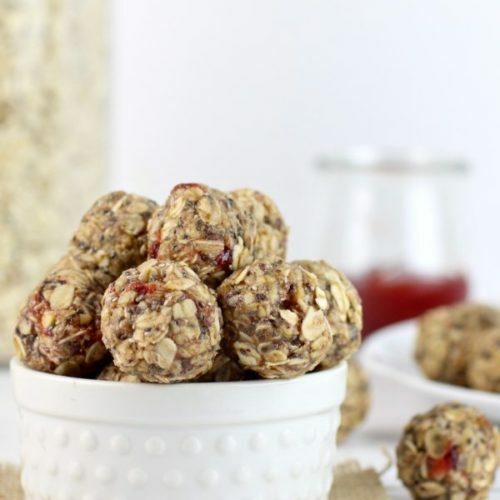 This healthy snack recipe can be easily made ahead of time and then stored in an air-tight container in the car, in your gym bag or wherever you need. Nuts are another great snack idea for on the go. 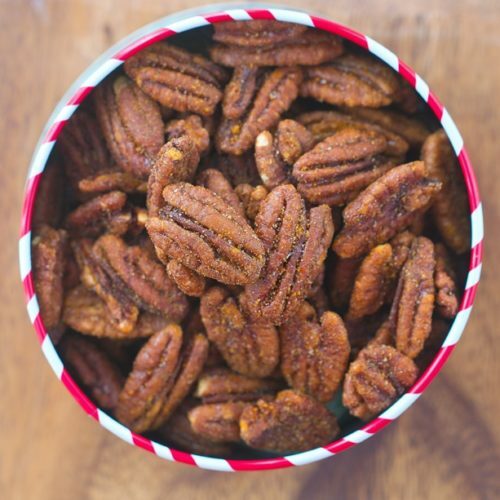 And these easy cinnamon pecans can be made two ways: in the crockpot for a super-hand offs version or in the oven when you’re short on time. Made with cinnamon, vanilla extract and maple syrup, these are the perfect snack when you’re craving something a little sweet but don’t want to the sugar crash. Keep them in a Ziploc baggie or Tupperware container for easy grabbing! Love Larabars? 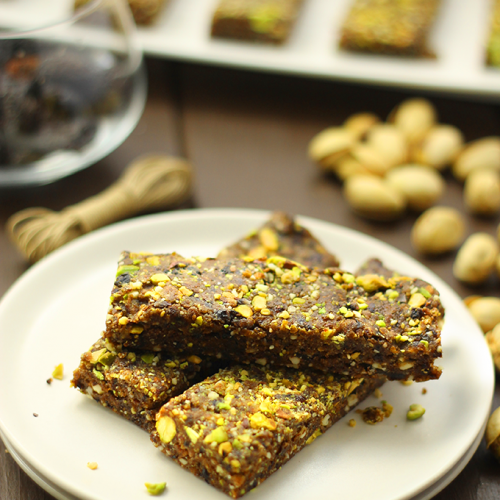 Then you’ll love these no-bake cherry pistachio bars. It’s a chewy, chunky and sweet treat with a super unique flavor combination. They can be made in just 20 minutes (as a part of your weekend meal prep!) and then wrapped individually for on-the-go snacking. They’re made with just six ingredients, are dairy-free and vegan! Garlic and parmesan are a dynamite flavor combination used on these roasted chickpeas. 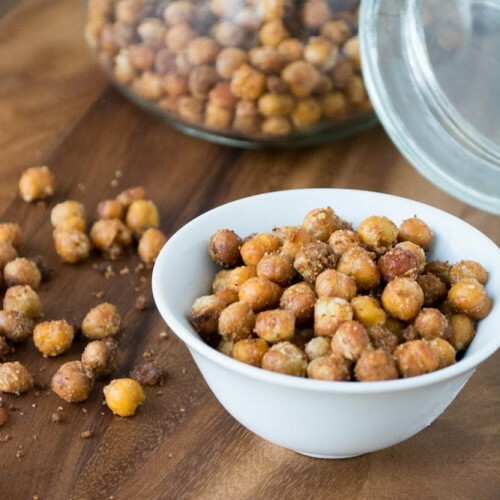 And if you’ve never had roasted chickpeas as a snack before, you’ve got to try these ASAP! They’re crunchy, flavorful and packed with protein and fiber for a super healthy and addicting snack. This recipe is also vegetarian and gluten free. Plus, you can add additional seasonings to your liking! Need even more recipe inspiration? Check out our healthy recipe videos with breakfast recipes, healthy dessert ideas and everything in between! Looking for more recipe ideas? Check out some more of our recipe roundups!